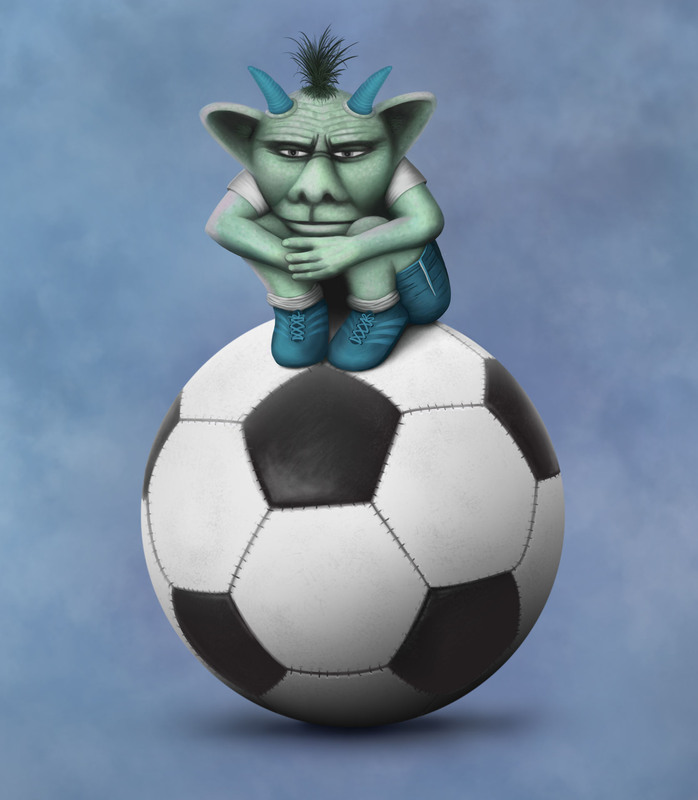 A grumpy gargoyle sits atop a football in a sulk, refusing to play. Inspired by the grumpy sulks my young nephew often displays when things aren't going his way during football and other sports games. He often refuses to play and sits on the pitch hunched up just like this, so we've nicknamed him "The Grumpling". He gets so grumpy it makes everyone laugh, which only makes things worse of course. The pose is from the Little Dedo gargoyle at Notre Dame cathedral, it seemed to perfectly suit the mood I was wanting to capture, but I added my own twist. Painted in Corel Painter using a custom oil brush. The orginal image is 3910 x 4480 pixels and so is suitable for high resolution printing. Prints of this image are availale at sizes up to A2, printed professionally on archival quality paper for maximum quality and longevity.